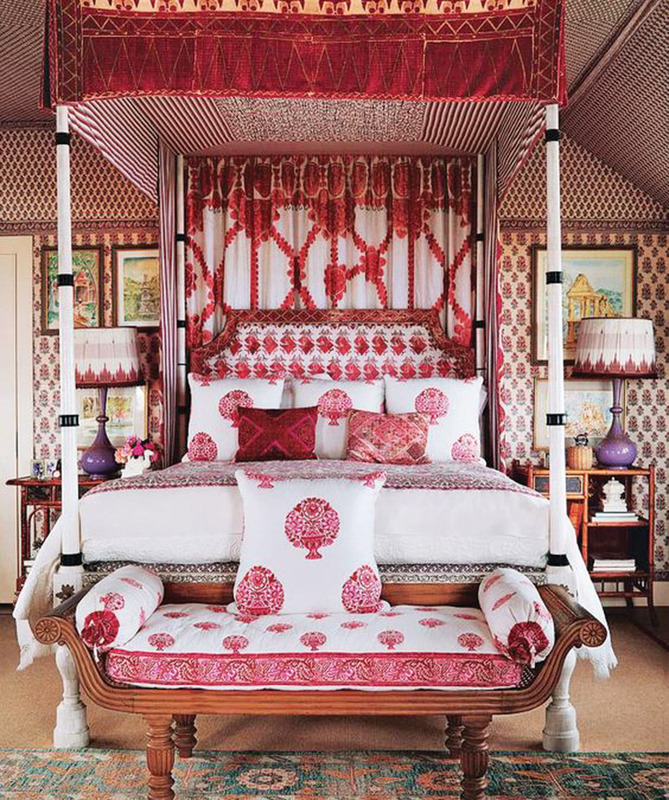 When I was growing up, St. Louis interior designer Michael Edlin worked on our home. 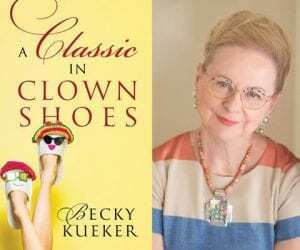 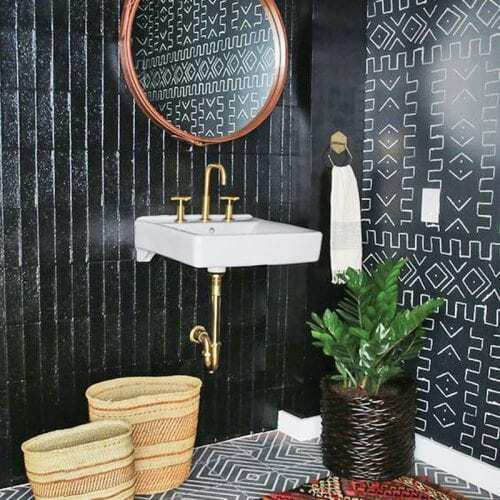 It was the 1970s, and although our decor was traditional, he used an African paper made of bark on the floor of our front entry. 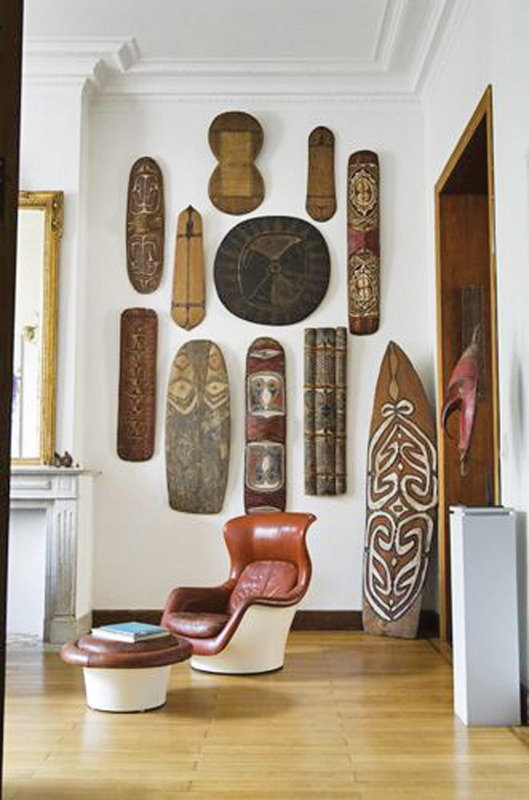 He covered it with layers of polyurethane for a jaw-dropping effect. 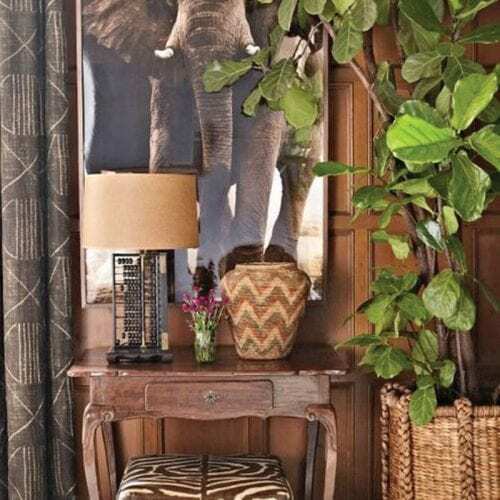 Globally inspired decor is back, and this look will not disappoint. 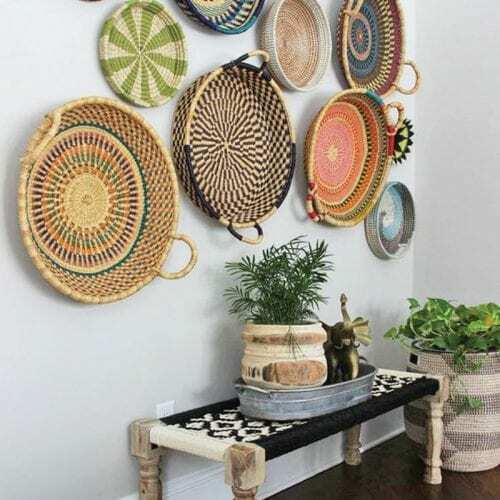 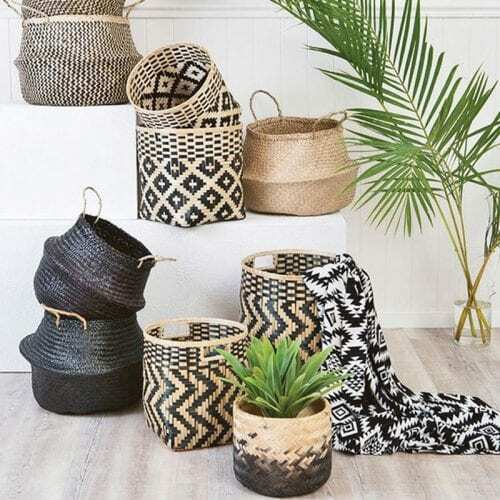 Tribal baskets are chic and great for storage as well. 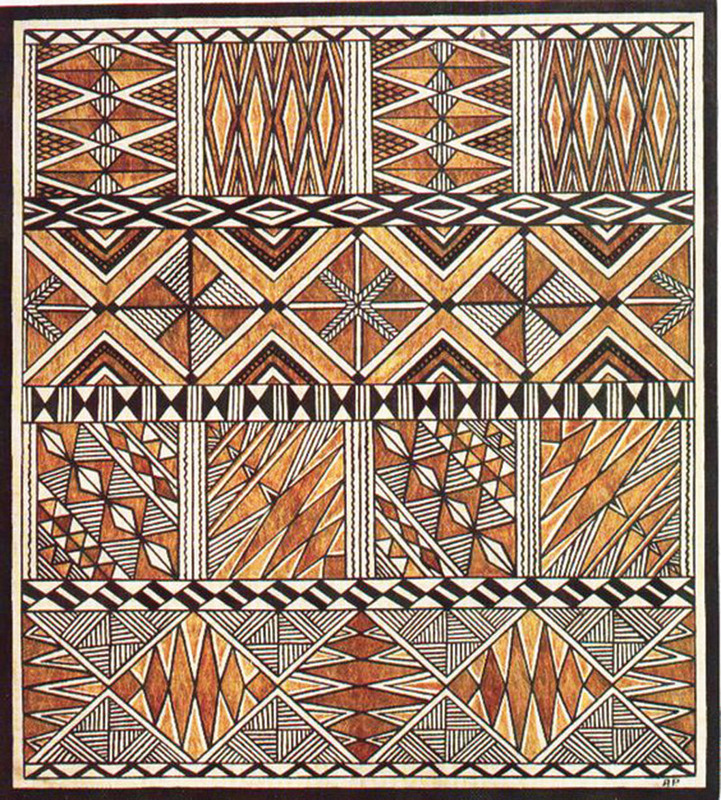 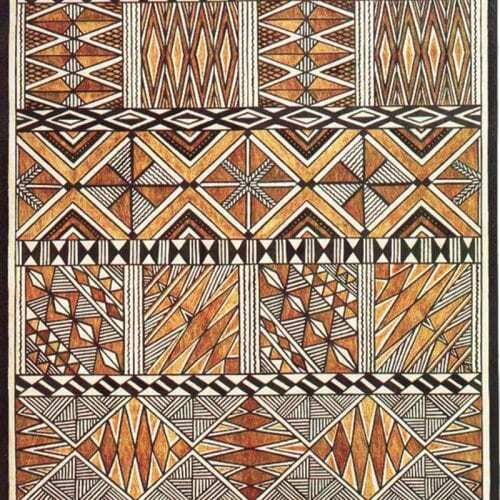 This pattern of bark cloth reminds me of the paper used in our entryway. 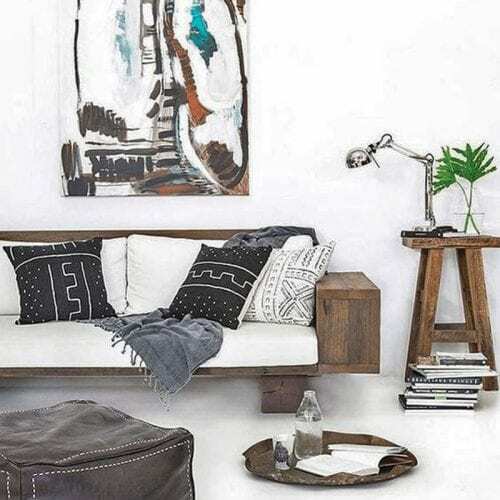 Mudcloth pillows blend in with a contemporary setting. 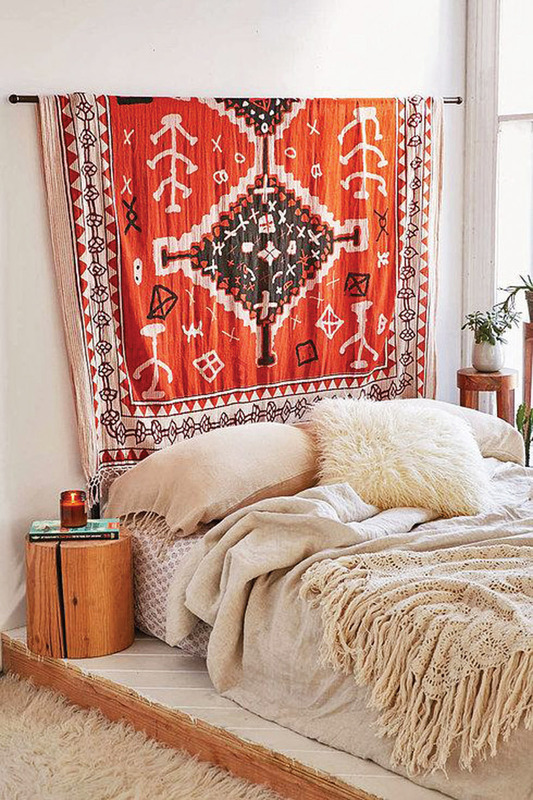 Hang textile treasures to set a mood for the entire room. 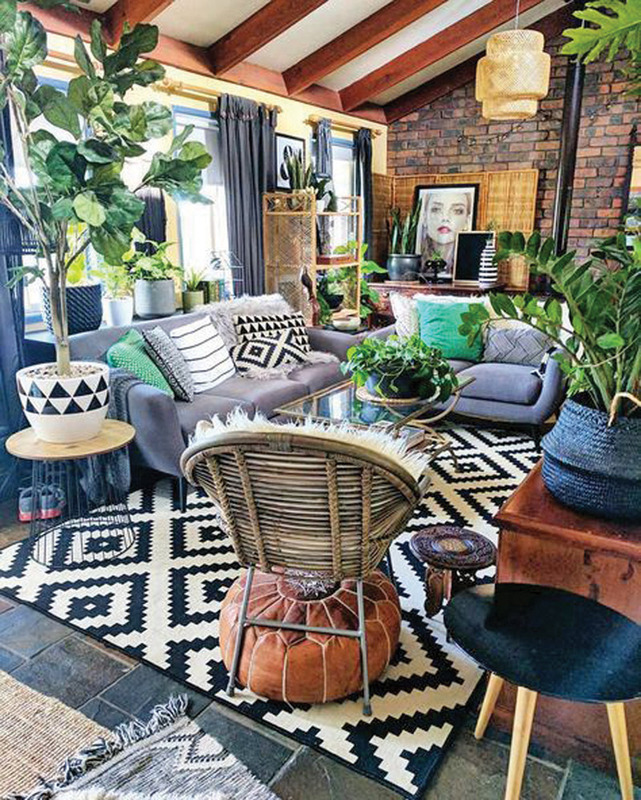 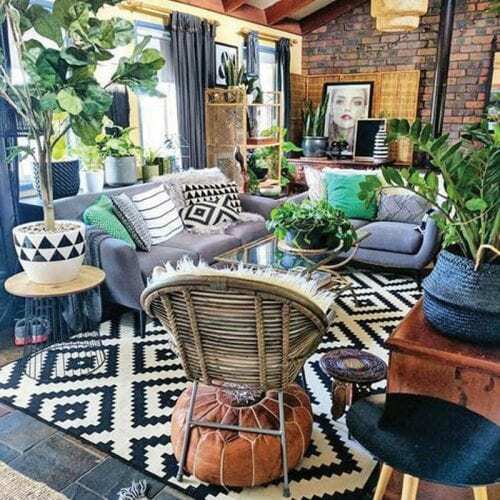 Multiple global items create a comfy boho family room. 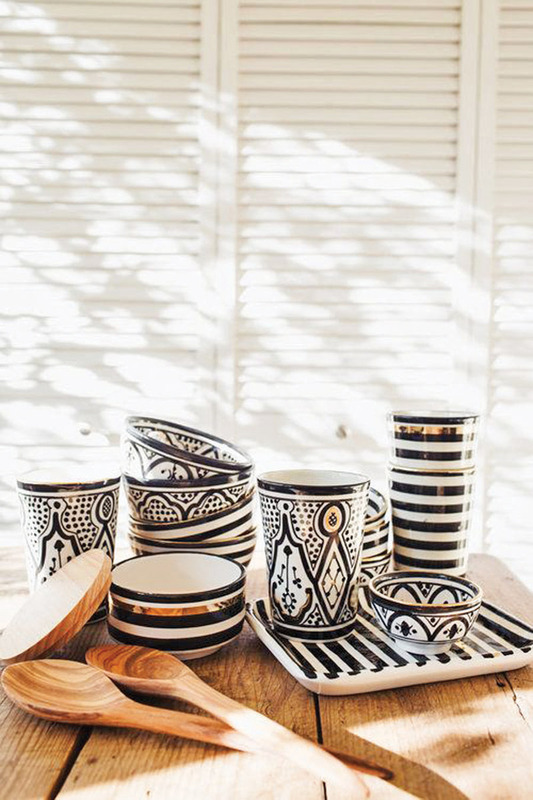 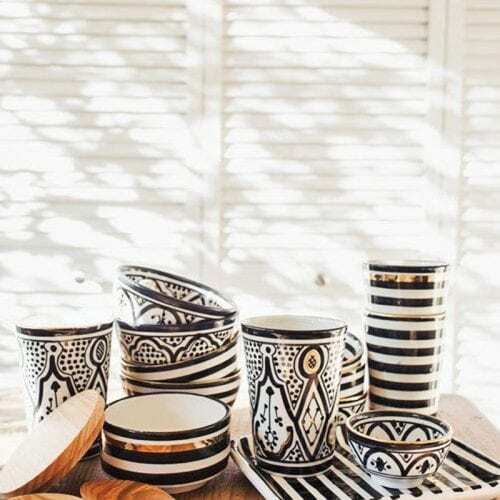 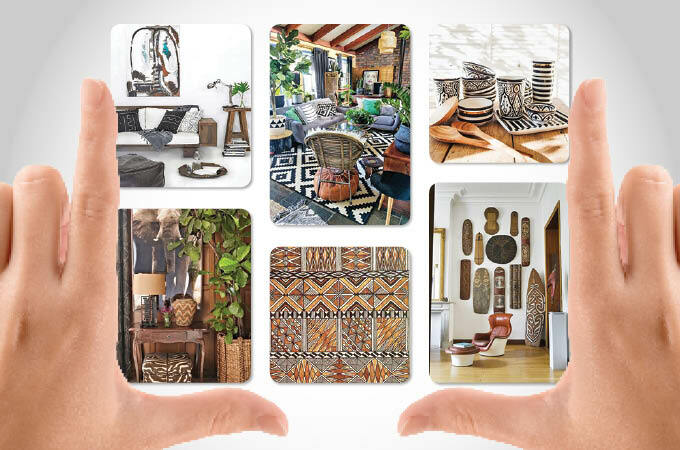 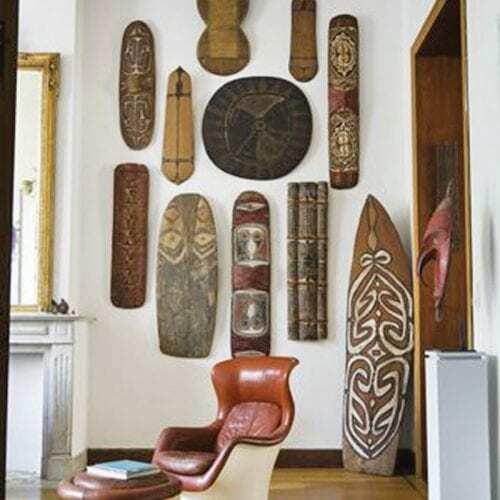 Primitive African wooden art can make a huge impact in any space. 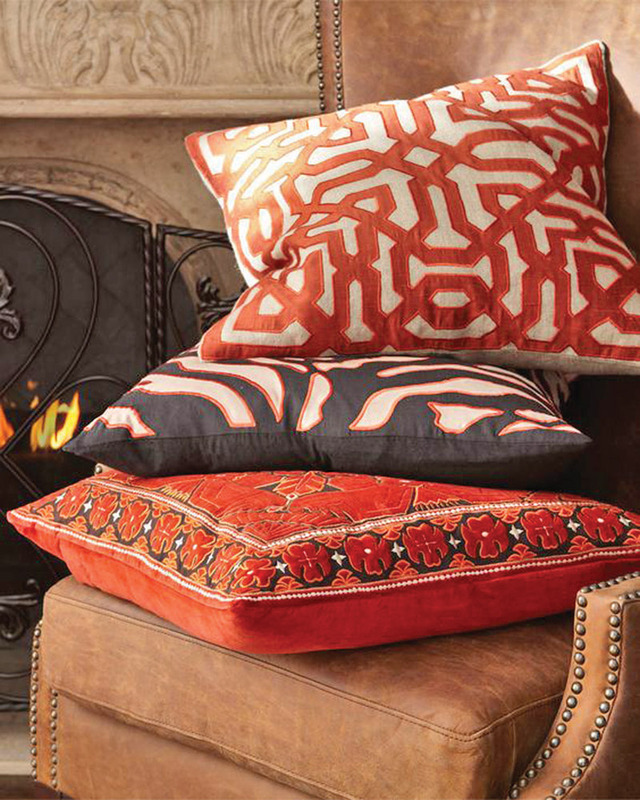 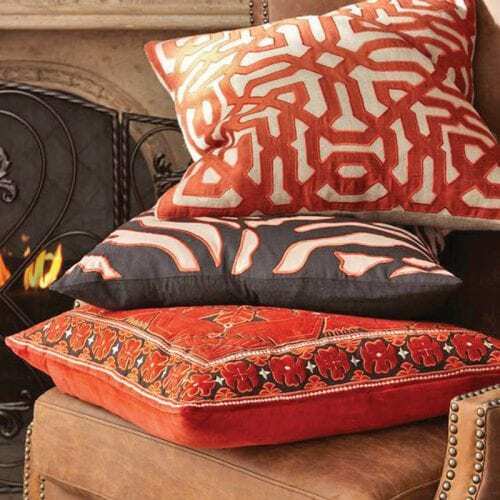 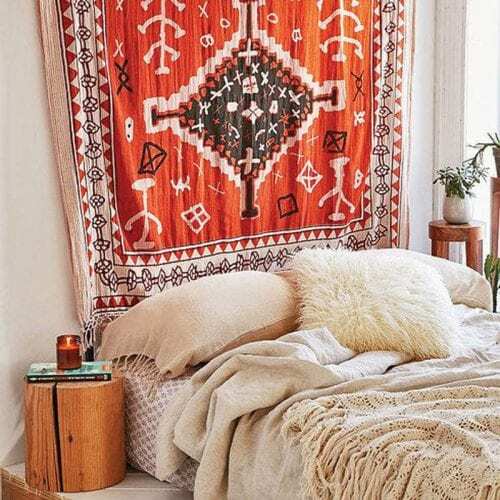 For just a hint of tribal, use pillows in burnt orange, red, yellow or brown. 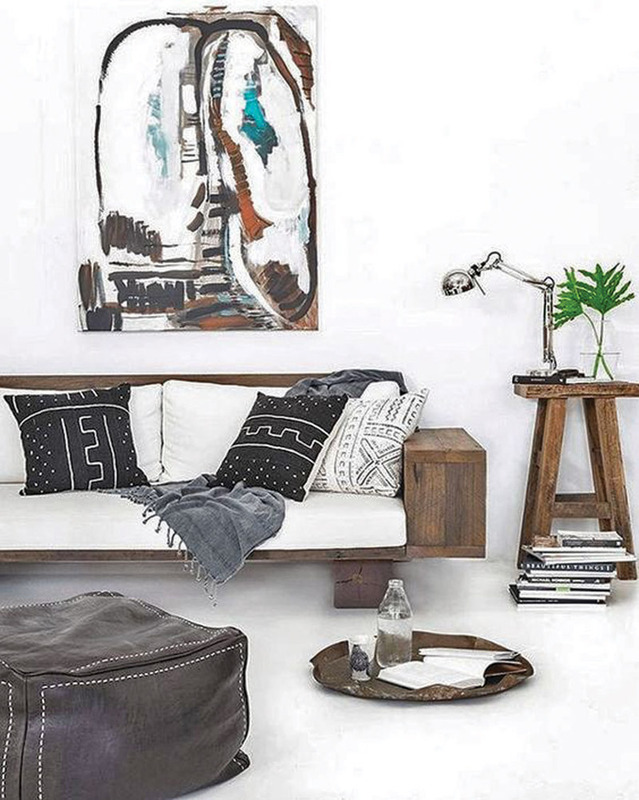 Black and white pieces blend with both transitional and contemporary decor. 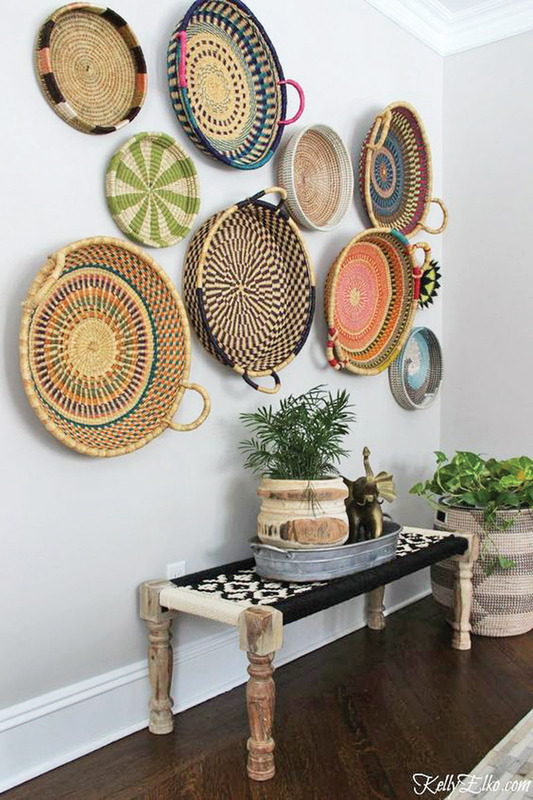 A collection ofwoven trays displayed as wall art will remind you of travels afar. 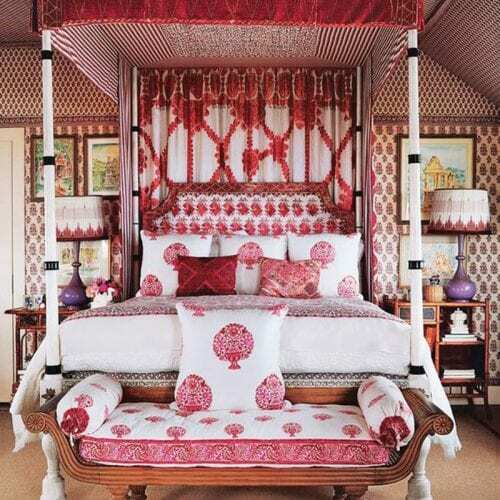 A bedroom in John Robshaw textiles is globally inspired. 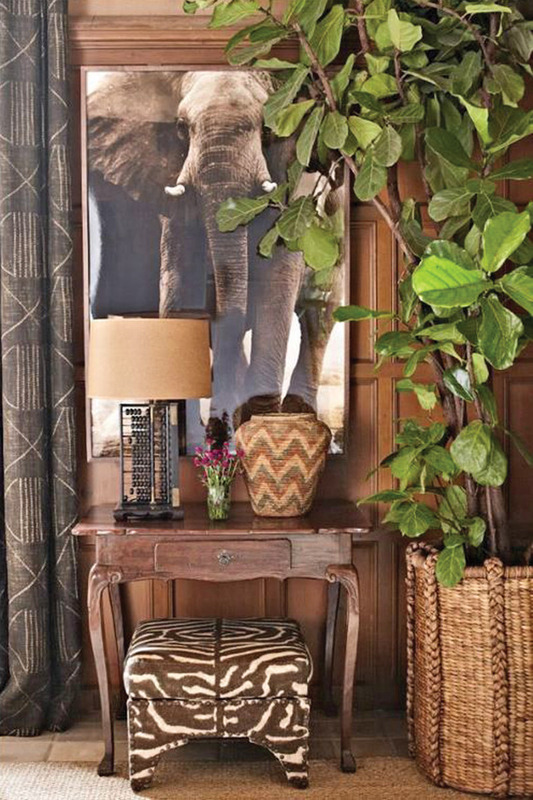 Mudcloth fabric drapes work well with woven baskets and animal prints. 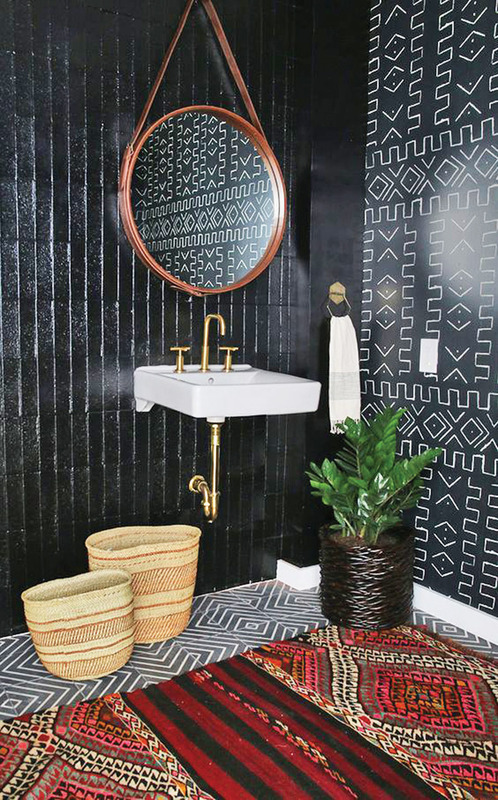 Bathrooms can artfully adopt the tribal trend, too.